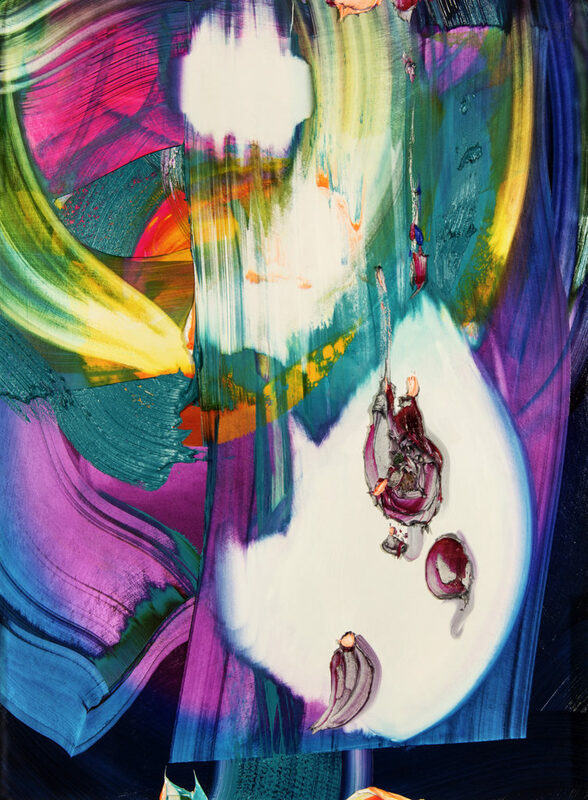 Toronto-based painter Erin Loree works intuitively and expressively with oil paint by combining diffused multicoloured gradients with thick and visceral marks, creating what can often be seen as human or ghostlike forms and anthropomorphized natural phenomena. The built-up layers of paint allow the strokes to weave through one other, giving the paintings an almost sculptural form. The work inevitably resembles something in a state of transition or metamorphosis, as the paint appears to melt and fold into itself. Loree completed her studies at the Ontario College of Art and Design University, at both the Toronto and Florence campuses, followed by a 3-month artist residency at the Sachaqa Art Center in Peru. She has been honoured with many awards and scholarships, including the OCADU Drawing & Painting Medalist Award (2012), Nora E. Vaughan Award (2012) and the Karl Heinz Wiesen Memorial Award (2010). She is also the recipient of the Visual Artists: Emerging Grant, awarded by the Ontario Arts Council (2015). Her work has been exhibited in Toronto, Montreal and in numerous art fairs including Art Toronto, Love Art Fair (Toronto) and SCOPE Miami Beach. Loree is represented by Angell Gallery in Toronto.